Could the history of the last 250 years provide the clues to ending poverty and inequality? Angus Deaton’s book The Great Escape makes a compelling case for improving global well-being by addressing health and wealth. Franziska Mager, Research Assistant, reviews the book as part of our new Book Banter series. Are you looking for some inspiring reading? Short on time or don’t know where to begin? Oxfam’s researchers review their latest big reads for you. I have been doing some reading up on the long-term development of living standards. Inequality is a big area of interest for me and for Oxfam (see our Even it Up campaign and our statistics on growing wealth inequality). Deaton, a Nobel Prize winner famed for his sophisticated use of survey data, is a recognised inequality and social mobility guru. I wanted to gain a bigger picture understanding of the differences in poverty levels and living standards across countries and between different socio-economic groups over time. Oxfam and others have publicised the worrying trend of high and rising inequality around the world, in this book Deaton looks at progress and mediating factors helping to reduce inequality. He takes an in-depth look at the role of health and growth in inequality reduction, which makes for a refreshing break from fixating on the negative trends. The book looks at income inequality from many different angles in high resolution and over an extended time frame. Deaton demonstrates that there is not one thing about inequality that is universally true. He also offers a great, simple introduction to complex concepts ranging from economics to public health, with some useful excursions into demography. What, for instance, is life expectancy at birth, and how is this different from other measures of longevity? Have you ever managed to wrap your head around Purchasing Power Parity (PPP)? You can be concerned about inequality and not place the burden of change on the development sector. Deaton’s approach is rightly more systemic, he uses this perspective to remind the reader that the aid sector is fraught with well-meaning, linear assumptions about how we can help people by reducing poverty and inequality, which struck a cord. The main story Deaton tells is that of a shift in inequalities. The world has always been highly unequal and, no matter how pressing we perceive it to be, inequality is not a symptom of the 20th century. Rather, the past two centuries have seen inequality change in nature. Until the 18th century, income inequality was very high within countries, which across the globe were controlled by tiny elites. Meanwhile most of the population was poor. This distribution has changed, in many countries the situation of the majority has improved greatly and the big gaps now lie between countries. Through science, medical innovations as well as prosperity and political capacity, rich countries have eradicated infectious diseases, making the average life longer, healthier and more productive. This is still not the case in poor countries, where many more children are born but live shorter, unhealthier lives. Health really may be crucial for tackling poverty, and thus inequality. Of course, factors like institutional capacity to enforce policies matter, but even then a population needs to be healthy to get ahead. As well as being a necessary condition for better lives, health is also a lens through which to measure inequality, for example by looking at the disparities in health between groups. In that sense, health is a type of inequality – but only one of many. Growth is similar to health in its dual citizenship as both a condition for and a symptom of the ‘great escape’ out of poverty. Countries like India or the US show that growth can be, but does not have to be, linked with poverty reduction for the masses. In theory, foreign aid in all its variety is aimed at raising the floor for the ultra poor, but Deaton thinks we overstate the legitimacy and reach of aid. This has led to a dogmatic prioritization of volume over use and effectiveness – and a dismissal of the importance of systemic reforms, such as of trade or arms deals, to help the poor. There is very little to be generalized about explaining inequality if we look beyond health and, to some extent, growth. What is certain is that there are differences between long and short term trends. It is not the same perpetual phenomenon. Deaton argues convincingly that all (albeit imperfect) data shows that by now, even within many countries, the top income earners are pulling away from the rest, in particular since the 1970s. In many places the high earning 1% has come to replace the former ‘idle rich’. China and India are great natural experiments for studying inequality. China is traditionally less democratic than India, and seems to have better institutional capacity to implement policies. Both have grown enormously, but with very different results for the poorest. Today the poor are on average better off in China. It helps to think about China and India like checks and balances for research and by extension development: it is always useful (and warranted by their huge populations) to test how the situation is playing out in these two countries. Numbers, like lump sums and averages, can be politicised and manipulated for measuring incomes, wealth and growth. Therefore the way we talk about what happens with a distribution matters. For example, income growth doesn’t have to be shared, so an average rate doesn’t tell us anything about improvements at the bottom or top of the distribution. I wish Deaton gave more attention to the fact that top incomes and wealth are notoriously under-reported, which can skew income dispersions and indices. Granularity matters because lots of people still need convincing inequality is real. Deaton complains that we often don’t take into account changes in population size when we talk about falling poverty rates – so the absolute number of poor people can still increase despite a falling rate. It’s important to unpack the difference between absolute and relative because narratives about inequality measures are so political. If incomes grow a little bit for everyone (good!) many inequality indices would remain the same, but in absolute terms the rich have earned much more money than the poor. You don’t have to condemn this, but you should know about the difference. Read this book if you want an understandable yet well grounded account of the basic dynamics behind the evolution of inequality. It will help you to understand how some of the poor escaped poverty while others didn’t, and get to grips with the difference in inequality trends between countries and within countries. At its core this is a book about the bottom – the poor — and how they compare to the rich, but not about the top of the distribution. Deaton forces the reader to challenge a lot of the assumptions about what matters most for inequality reduction, and the relationship with growth and health. Applying a sort of scientific logic, he gets the reader used to thinking about China and India as natural experiments for the diverse arguments he makes, which is a really valuable takeaway. While the book doesn’t address the political side of inequality and entrenched forms of power (which are big issues for Oxfam), overall it makes for a really useful complement to our work. 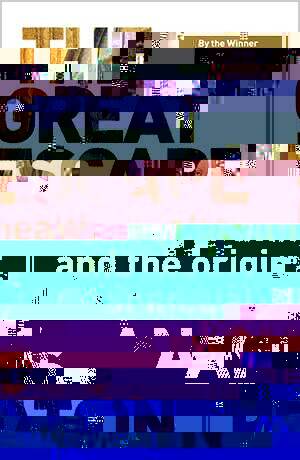 The Great Escape by Angus Deaton is published in the USA and UK by Princeton University Press.